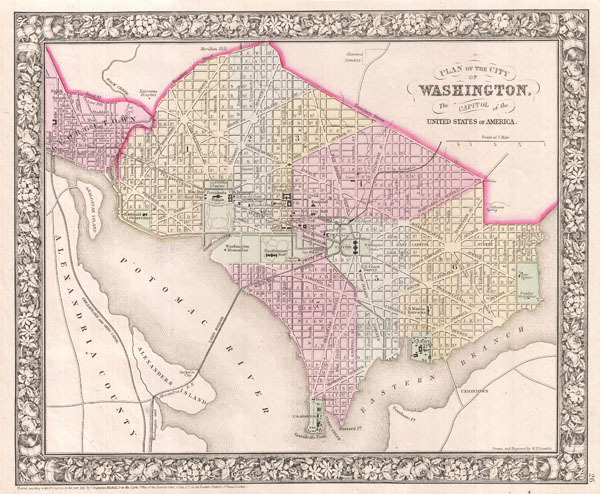 1866 Mitchell Map of Washington D.C.
Phillips (atlases) 1026. Rumsey 2483.019. Ristow, Walter, American Maps and Mapmakers, p. 303, 315.